The standard view thus sees cohesion growing out of sameness. Can we even imagine a community emerging out of difference? For Anderson, all nations, indeed, all communities are imagined; they are distinguished by the “style” in which they are imagined. In many countries, the imagining consists of defining a personal archetype, a single language, a religion, and a national mythology, which extends the nation’s history to a time long before anyone did imagine a nation. But comradeship is neither guaranteed nor does it require, more objectively measured, or even imagined, similarity. Instead, Anderson’s imagined community is more akin to Anthony P. Cohen’s (1985) idea of community of meaning, in which the community plays a crucial symbolic role in generating a person’s identity and sense of belonging. A community is, because we conceive it to be. If we shift from defining a community based on shared attributes (religion, interests, age, place, etc.) to thinking of it as something that its members construct, we begin to see an answer to the question posed above: Yes, community can emerge out of difference, even because of difference. The country of Nepal is so diverse in terms of geography, history, human physical features, language, religion, arts, and more, that it’s difficult to say what constitutes a Nepali, or Nepal as a nation. 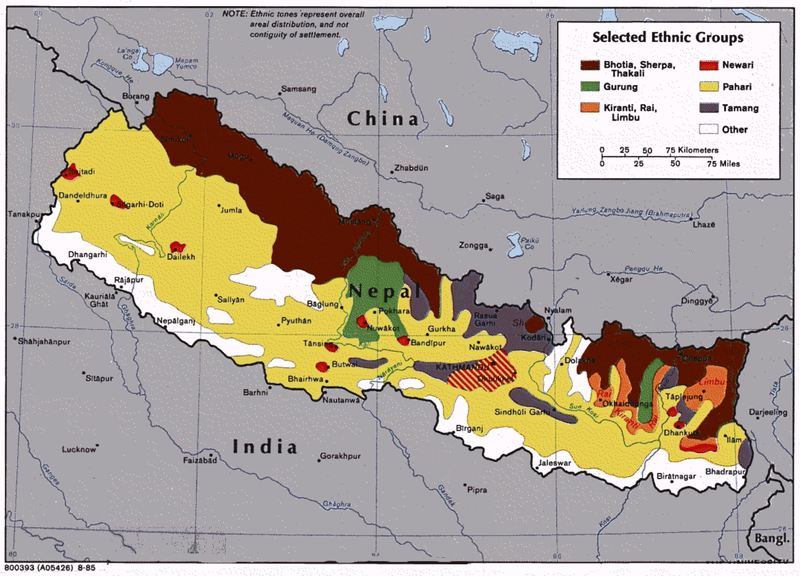 What makes all Nepalis the same, yet different from people in India, China, or elsewhere? Imagining such a sameness for people Nepal is more a stretch than it is for most other countries. How might Nepalis imagine their community, if such can exist? Instead of focusing on sameness, many in Nepal conceive of their nation in terms of its diversity. What sets Nepal apart is not that everyone looks, dresses, talks, prays, or acts the same, but that people there seek common ground through recognition of and genuine valuing of their differences. This otherwise vague goal is enacted in many concrete ways. There is active research to find and preserve languages that may have been missed before, but now need to be recognized and protected. Contrast that with the efforts of some in the US to make English the official language. Consider also how many Nepalis view their flag and anthem, conventional symbols of nationalism. In many countries flag waving serves to inculcate a belief in nationhood based on imagined sameness. This is not so in Nepal. Woven from hundreds of flowers, we are garland Nepali… millions of natural beauties, history like a shawl… races, languages, religions, cultures incredible… progressive nation, I salute Nepal. Echoing ideas from many others, politician Biraj Bista says, “Most people feel proud to have such a unique flag. Personally, I look at it as a symbol of unification in diversity we have in Nepal” (Nosowitz, 2018). This idea of community in diversity provides a powerful resource for the current work there on progressive education. For others, there is acceptance of diversity, and an understanding of how it enriches the life of society. However, that difference perspective is often accompanied by unease over perceived changes in society, and a difficulty in defining what constitutes nationhood. Nepal provides a strong refutation of the sameness conceit and a clear articulation of a pluralistic or multicultural view of community. It shows a way in which the unity of a people, or a nation arises, not in spite of, but precisely because of the willingness to embrace difference. Anderson, Benedict (1991/2006). Imagined communities: Reflections on the origin and spread of nationalism (rev. ed.). London: Verso. Nosowitz, Dan (2018, September 3). 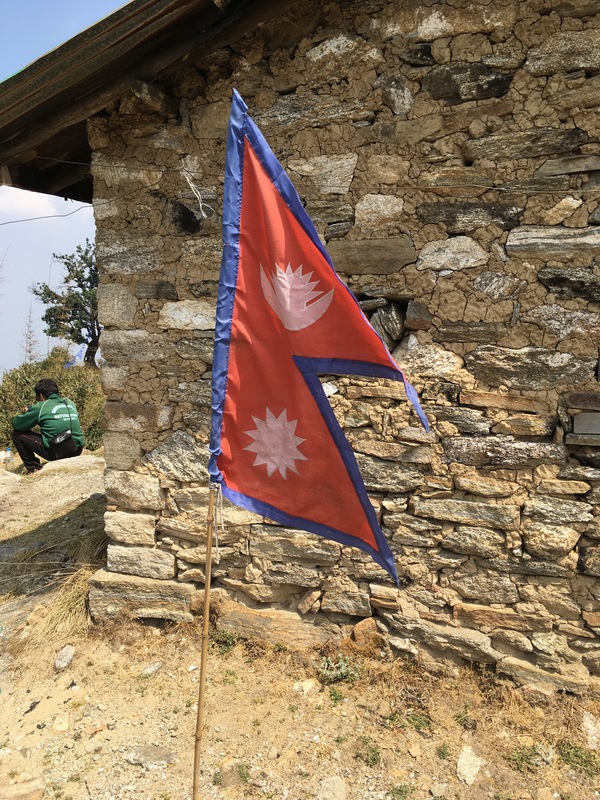 Decoding the unusual shape of the Nepali flag: Where did all those angles come from? . Atlas Obscura.